Jarrod Bowen discusses interest from Premier League clubs, his non-league route into the game and his sparkling form for Hull City. Two more goals at the weekend and another win for Hull City. Jarrod Bowen is flying at the moment. The 22-year-old took his tally to 13 for the season with his double against Sheffield Wednesday, of which nine have come in his last eight appearances. Little wonder he was named the Sky Bet Championship Player of the Month for December. Naturally, with exemplary form comes speculation. Premier League clubs are always swarming in January looking for a player who can take them to the next level, whether that be survival or something more. His current level of performance may well suggest that Bowen is better off staying where he is, though, because Hull seem unstoppable right now. "There is always going to be interest in every single player when you play well, but I've got agents that represent me that take care of that and they didn't say anything to me," Bowen told Sky Sports, when asked about reported interest from Tottenham earlier this month. "It is nice to see your name linked to some teams, but I am a Hull City player and as far as I'm aware it is just rumours." A tricky start to life in the game has helped keep him grounded and focused on the present. The youngster from Herefordshire was rejected from Aston Villa and Cardiff at an early age, before dropping into non-league to begin his career at local club Hereford United. But a strong work ethic, mental resolve and the support of his youth-team manager at Hereford, who had links to a coach at Hull, helped secure him the move his talent deserved. After being linked with a move to the Premier League, we take a look at Jarrod Bowen's best bits from this season for Hull City. "The Cardiff one was the hardest to take because I was a bit older and I thought that was the end," he remembered. "Off the top of my head I can't remember the exact reasons but essentially they said I wasn't good enough. "But I knew I was good enough and I had to be patient and keep working hard, because I had no Plan B [other than football]. I then got a chance at my local team and played well there. Pete Beadle was my youth-team manager at the time and he knew [Hull coach] Tony Pennock, who came to watch me a couple of times. "Then me and my dad came up to Hull, our heads were turned and then the next week I was signing for Hull at 17. It all happened quite quickly but I was buzzing for it and it has benefited me now. It's been an unbelievable journey so far." It hasn't been an easy time to be a Hull City player. Bowen was signed under Steve Bruce in 2014, he made his debut under Mike Phelan in 2016 and then he was handed his first Premier League start by Marco Silva in 2017. "There was talk of me going out on loan but both managers [Phelan and Silva] said they thought I was good enough to be around the team, which gave me a lot of confidence," said Bowen. "I made my debut against Exeter and featured a few more times, then Marco Silva came in and I played against Manchester United in the cup and started the last game of the season against Tottenham. "[Silva] was great with me. He was always working with me to tell me what I needed to improve upon and what I was good at. It benefited me a lot and he showed a lot of faith in me by giving me chances. 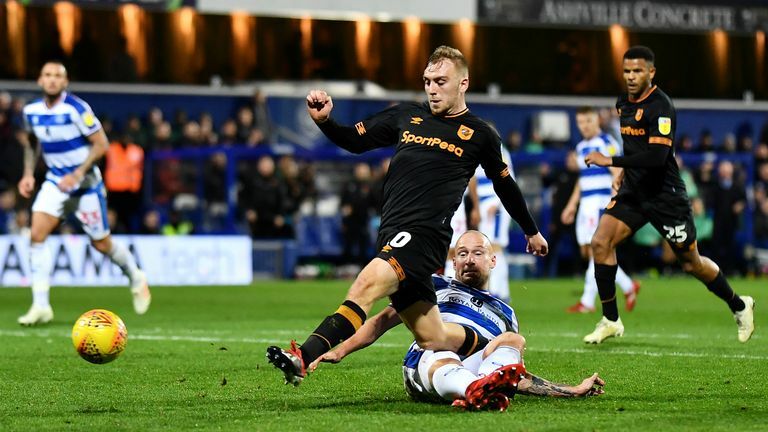 Hull City's Jarrod Bowen has topped the Power Rankings for a third successive week - but who else made the top 50 this week? "Unfortunately we got relegated that season but since then I have been playing virtually week in, week out, which I consider a privilege." His real breakout then came in 2017/18 under Leonid Slutsky in the Championship, scoring 10 times in 21 appearances under the Russian. "I wasn't sure if I would be playing that much but we spoke in pre-season and he said he saw me as one of his key players," explained Bowen. "For him to show that confidence in me helped me thrive under him, but unfortunately we weren't getting the results and that came to an end." 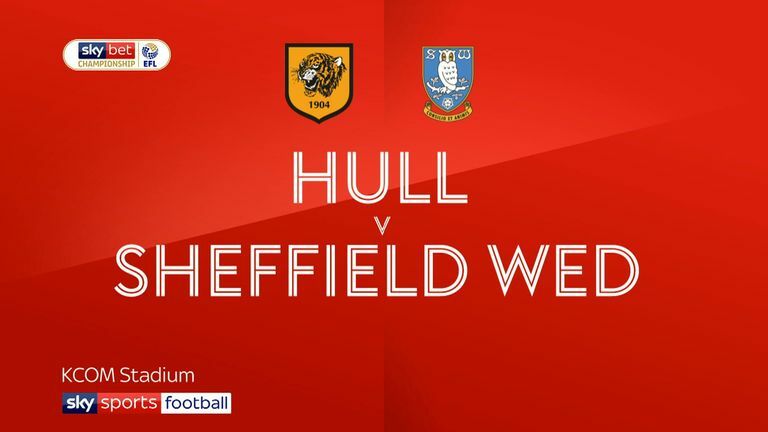 Highlights of the Sky Bet Championship game between Hull City and Sheffield Wednesday. And then came Nigel Adkins, where, after a turbulent year, things have now fully come together for himself and the team. "I was confident with what I had done but it's always a little worrying when a new manager comes in," admitted Bowen. "But he has shown faith in me ever since he [came in] as well. You just need to show how good you are and how hard you want to work for them. "We have been doing the same things since the start of the season, we know our gameplan and our qualities, but we have just defended better and been more clinical in the final third. I think it has all just clicked into place and we have turned in some unbelievable performances." Sooner or later you feel Bowen will be playing in the Premier League again. He, and many others around the KCOM Stadium, hopes it will be with Hull. "That is everyone at this club's aim now," he said. "We have got out of a deep, dark hole and we are looking up. We need to go on a good run and see where it takes us. "I think we're good enough to do it, but we will have to see how it goes."